Halo Hybrid Fractional Laser and BBL (BroadBand Light) have been added to the treatment menu at Affinity Med Spa to help address aesthetic concerns like wrinkles, acne, skin texture, sun damage, and more. In the past, you had to choose between a laser procedure that offered really great results but required a lengthy recovery, or a procedure that had a fast recovery but marginal results. As the world’s first Hybrid Fractional Laser, Halo delivers both ablative and non-ablative wavelengths to the same microscopic treatment zone. This dual-wavelength feature means you get the best of both worlds: beautiful results with minimal downtime. Halo isn’t harsh like many other treatments can be, and our patients experience minimal discomfort. Halo precisely targets years of damage to your skin and addresses the appearance of discoloration, sun damage, uneven skin tone, enlarged pores, poor texture, fine lines, and scars. Even after your initial treatment, your skin’s tone and texture will continue to improve. BBL energy allows us to treat age and sun spots, small facial veins, and many other skin conditions. BBL treatments can address concerns like freckles and age spots, small blood vessels, rosacea, acne, aging skin, and loss of firmness. 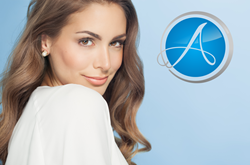 Everyone interested in Affinity’s new laser technologies are encouraged to reserve a one-hour complimentary consultation. This consultation includes a Visia Complexion Analysis, which is a state-of-the-art imaging system designed to give you better insight into the true health and condition of your skin. Call or text (407) 900-2727 to reserve your complimentary consultation today.